• There are 165 rooms and suites in a New Art style. • Seven Seas restaurant with french gastronomy and bar. • A cycling, a sauna, a fitness center, a spa and wellness center, a massage, hot tub, an indoor pool (all year), a hammam, and a bicycle rental. • Grand Hotel Amrath is only 350m walking from Central Station. 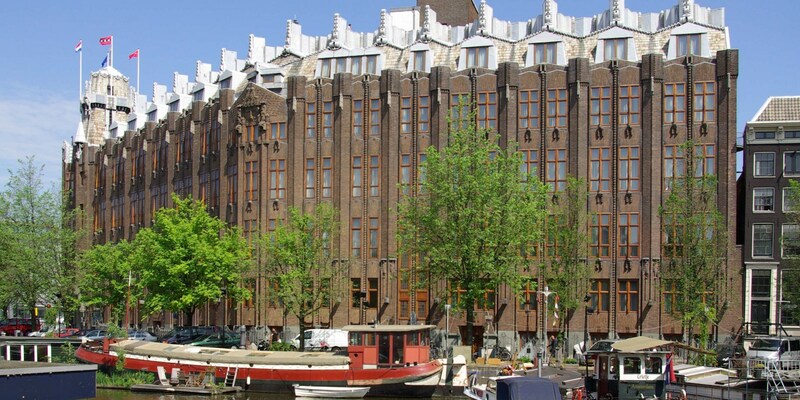 • 1912: Architect Van der Mey is appointed to design this symbolic structure.